Registration for a free tree from the City of Toronto is now open! This is your chance to get a free native tree with mulch for your yard and to help the City achieve its goal of 40% tree canopy coverage. 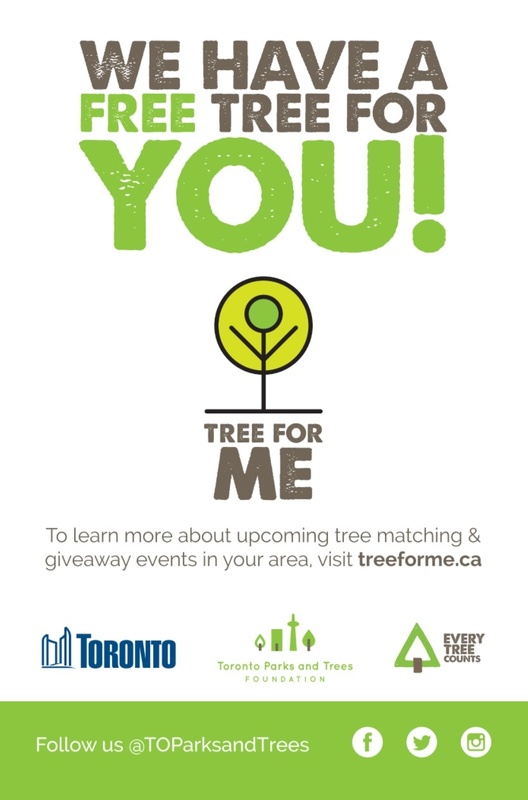 We invite you to register online at www.treeforme.ca or call 416-465-7555 for more information. All you need to do is pre register for your tree and bring a bag for some mulch. There will also be demonstrations on the half hour of how to plant your tree for a successful growth. Our local date is May 11 from 10 am to 2pm. Our location is the West Toronto Baptist Church at 3049 Dundas Street West, near Quebec Avenue in the Junction. Let’s continue to green our city! Register and claim your tree on May 11!